• Should be able to perform project specfic bioanalytical, pharmacokinetic (PK), statistical processes and data audits as per the QA SOPs and audit programmes to ensure compliance with inhouse bioanalytical, pharmacokinetic / statistical SOPs and applicable regulatory guidances as GCP QA bioanalytical auditor as per the scheduled timelines for Clinical Development Business unit. • Should be able to perform audits and review of processess, raw data and documents including SOPs of bioanalytical method development, method validation, study sample analysis & reports to ensure the compliance as per the applicable regulatory guidance and inhouse bioanalytical SOPs. • Should be able to perform audits and review of processess, raw data and documents including SOPs of pharmacokinetic/statistical data management, analysis & reports to ensure the compliance as per the applicable regulatory guidance and inhouse pharmacokinetic/ statistical SOPs. • Should be able to perform QA review (whenever required) in the bioanalytical and pharmacokinetic/ statistical sections of the study protocols. • Should be able to assist or conduct periodic internal quality system or facility audits in different processes, instrumentation and software applications and its documentation in bioanalytical and pharmacokinetic/ statistical departments. • Should be able to assist or conduct whenever required audits of quality system or facility, as part of regulatory inspection/sponsor audit readiness program. • Should be able to prepare and issue audit reports and follow-up the implementation of CAPA to ensure closeout of the audits observations. whenever required assist manager/HOD to collate quality systems data for trend analysis of QA metrics. • Should be able to prepare QA statements for bioanalytical validation reports and final study (PK & Statistics part) reports as per the scheduled time lines. • Should be able to perform QA review SOPs for bioanalytical process, instrumentation and pharmacokinetic/ statistical process to ensure the compliance with internal SOPs, Principles of GLP, GCLP, GCP, GDP and other applicable regulatory requirements. • Should be able to efficiently and professionally provide the required deliverables as bioanalytical QA auditor for GCP quality function. • Should be able to author SOPs for GCP quality assurance function or other relevant function’s SOPs and conduct training of relevant SOPs to staff of Clinical development Business unit. • Should be able to periodically update and maintain own training records/binder and whenever required develop training plan and material and train the trainee auditors, trainee QC. • Should be able to be responsible for delivering discussions /presentations on topics relevant to GxPs to the research staff. • Should be able to collaborate with Bioanalytical /PK/Statistical functions in lessons learned debrief to identify the need for continuous improvement and for potential changes to work practices. • Should be able to update and consult manager/HOD when delivering the current job responsibility and escalate immediately any quality and noncompliance observations to Head of GCP Quality and Compliance. • Should be able to perform or assist any other relevant job with relevant training as and when required by Head- GCP Quality and Compliance or Management. • Should be able to periodically update the required technical, scientific, regulatory affairs knowledge with respect to the required national & international drug regulatory guidance and quality standards. 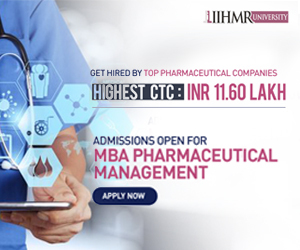 • Master Degree in Biochemistry/Biotechnogy/ Chemistry or M Pharm QA /pharmaceutics/Pharmacutical analysis with at least 5-10 years related experience as Bioanalytical Auditor in GCP Quality Assurance and Clinical Quality Management Systems environment. • Minimum experience required: 3-5 years in performing independently Bioanalytical / Pharmacokinetic/statistical audits and review in GCP environment. 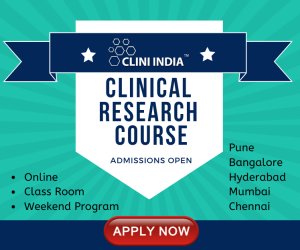 • Through knowledge in Bioanallytical and PK/Statistical regulatory guidelines (ICH, USFDA, EMA, MHRA,) governing clinical development. • Must have strong written and oral communication skills in English language. • Ability to work with cross functional groups /teams and handle difficult people/situations under pressure. • Ability to communicate clear and accurate audit observations based on regulatory requirements and best practice, which gains acceptance from auditees. • Ability to work with the senior management level in QA and with other partnering departments of business units. • Ability to deal with competing timelines. • Ability to prioritize work and handle multiple assignments.